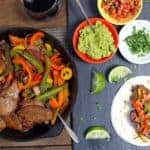 How to get smoke flavor into your fajitas by using Tri-Tip and slice thinly for incredible, tender, smoky, and savory steak fajitas. I think it’s safe to say Tri-Tip has become the number one cut of beef we cook around here lately. It has surpassed brisket, rib eye, and NY strip. 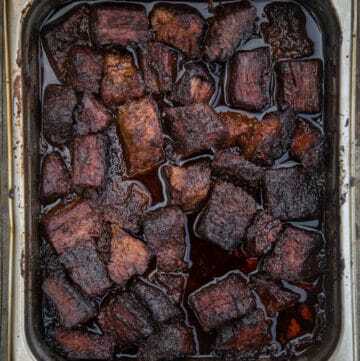 The primary reason is that we cook it a lot at events where folks want beef but not necessarily the time required for brisket. 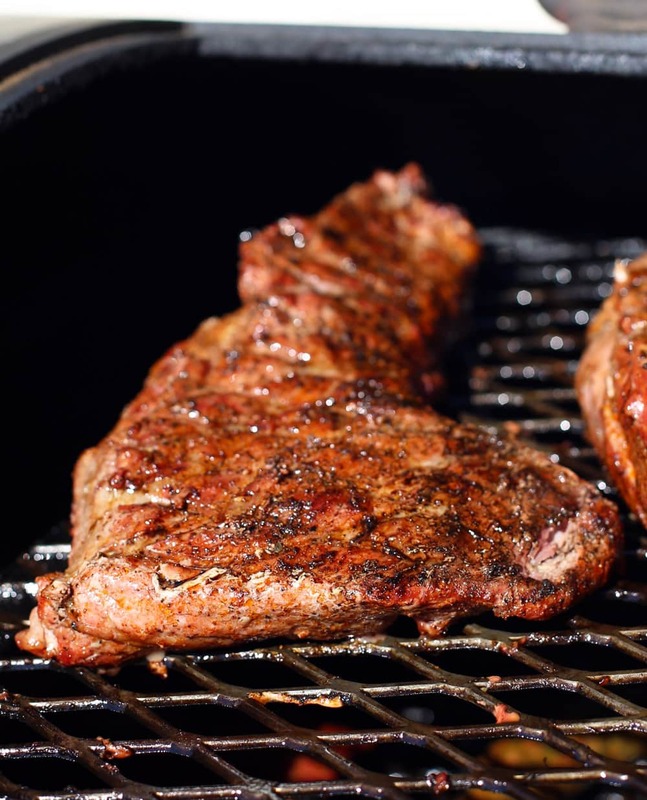 Tri-Tip is a much more affordable option not only in price, but also time required to cook. Tri-Tip averages about 60-90 minutes to smoke, whereas a brisket is around 10+ hours average! That’s a commitment! Smoked Tri-Tip cooks long enough to give you that incredible smoky flavor but also remains tender, savory, and delicious. And it’s even quick enough (well, by slow smoking standards) for a weeknight meal and often leaves us with a healthy amount of leftovers. And when we have leftover Tri-Tip we make fajitas! 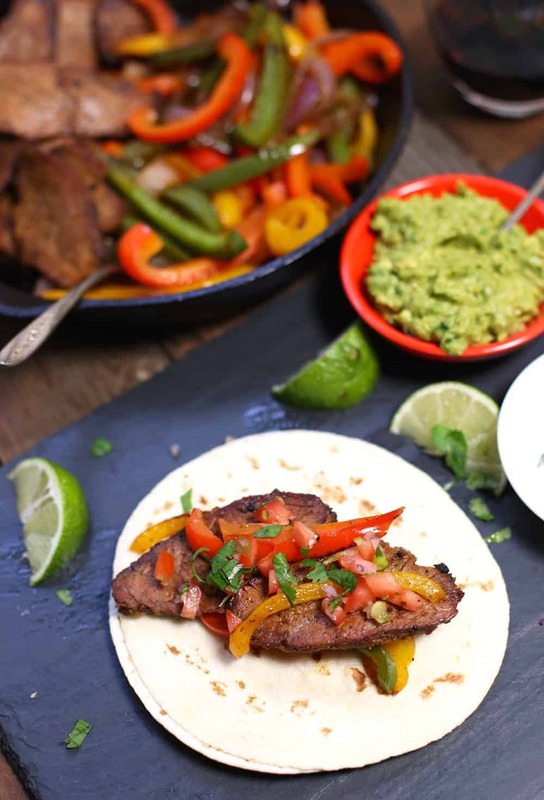 Now you can easily smoke up a single Tri-Tip for the sole purpose of making these succulent and festive fajitas, which would be my choice. Or you can use any leftovers, because Tri-Tip reheats like a charm. 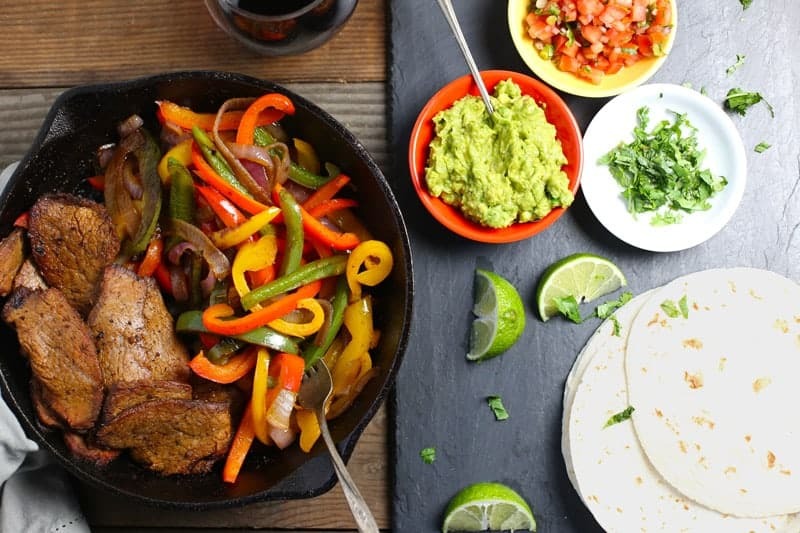 Now fajitas are traditionally made with a thin skirt steak and grilled hot and fast after time sitting in a marinade, but skirt steak isn’t really the best cut to smoke with because it cooks too quickly to really take in any of that incredible smoke flavor. Tri-Tip is an excellent alternative. 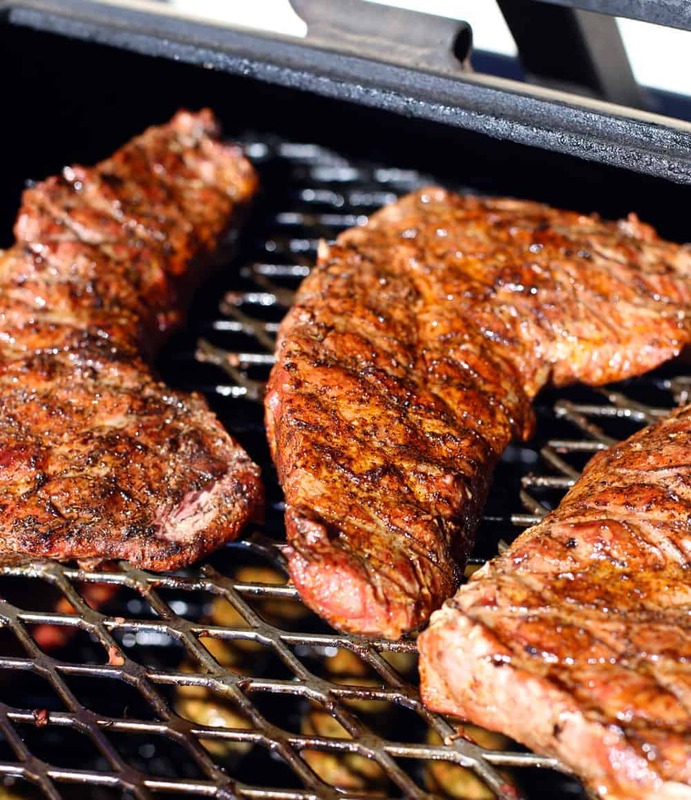 We prepare the Tri-Tip simply with either salt and pepper or your favorite beef dry rub. Smoke it at 250 degrees until the internal temperature of the meat reads 130. Depending on the size of your Tri-Tip this can take anywhere from 60-90 minutes on average. Then remove from the smoker, wrap the meat in foil, and let it sit in a cooler (with NO ice) to rest, and to redistribute the juices throughout the meat, for about 30 minutes to one hour. Then cut that bad boy in thin strips for these tasty fajitas. While the meat is resting you can prepare your veggies. 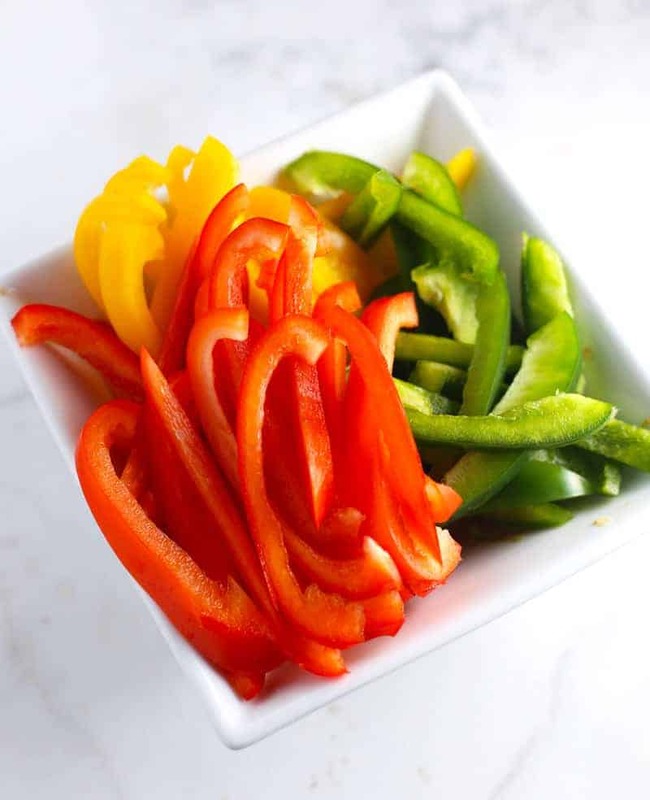 Go with a rainbow of peppers (red, green, and yellow) and an onion, cut into strips (though not too thin). You can cook them inside on your stovetop, or outside on your grill if you have a durable pan like cast iron. I figure if you’re already cooking your meat outside why bother going back and forth to the kitchen. But whatever works for you! When your veggies are done and your meat has rested and sliced all you have to do now is decide what to drink with dinner. Dilemmas, dilemmas. How to get smoke flavor into your fajitas. 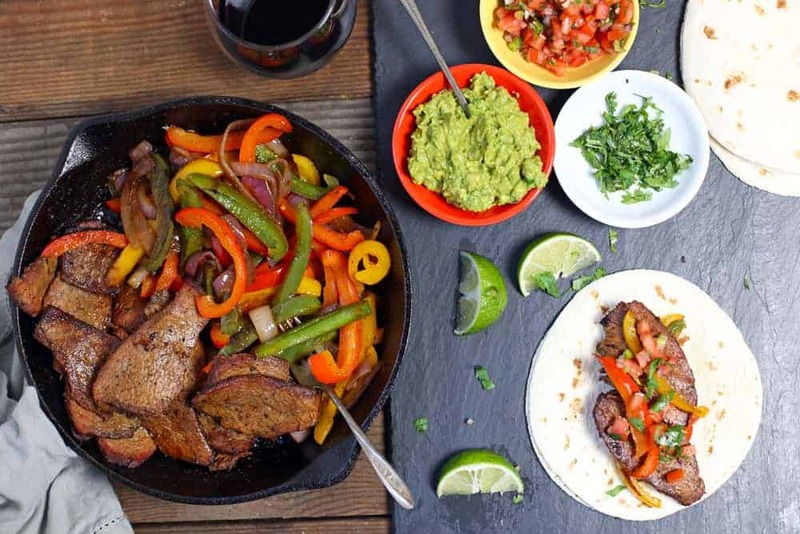 Smoke a Tri-Tip and slice thinly for these incredible, tender, smoky, and savory steak fajitas. Cover the trip-tip in olive oil and sprinkle your favorite rub on it. Place tri-tip on smoker unwrapped for 60-90 minutes. 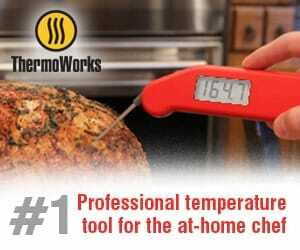 Cook until internal temperature is 130 degrees for medium rare - medium and remove. Wrap tri-tip in foil and place in a cooler (no ice) to keep warm for anywhere from 30-90 minutes. This will continue the cooking process thus the medium doneness. Further I have found that it makes the cut extremely tender as the juices slowly redistribute into the meat. Cut across the grains in thin strips for fajitas. 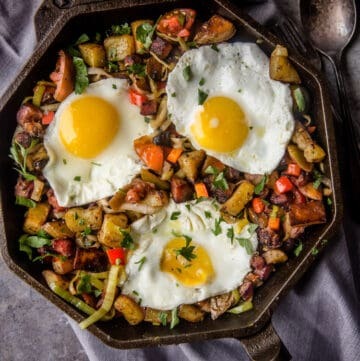 Heat up a heavy cast iron pan or skillet to med-high heat. Add a tablespoon of olive oil, and then add the peppers and onions. Toss them with your dry rub (or salt and pepper). 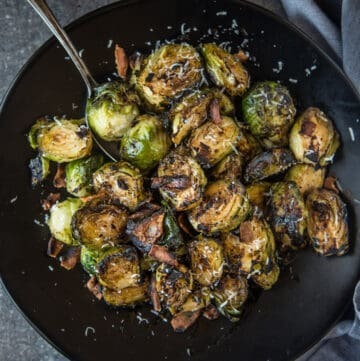 Let them sear and cook until they begin to soften (around 6-10 minutes, depending on your desired softness), while tossing them often. Slice the meat into thin slices to prep for building your fajitas. 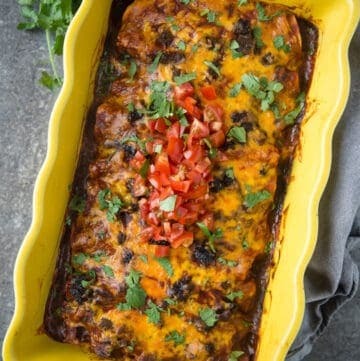 To serve, load up each tortilla with a couple slices of meat, then add your veggies and other toppings. If using leftover Tri-Tip heat up your meat first, then set aside. 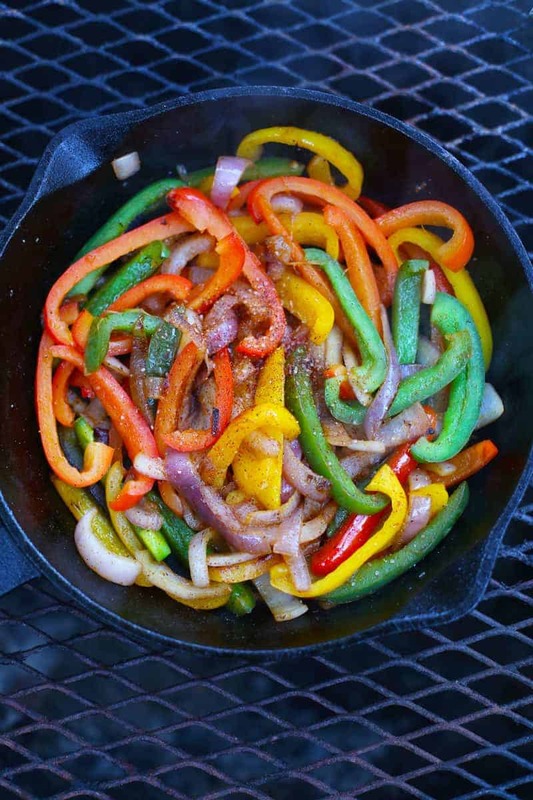 Use that same pan with the meat drippings to heat up your peppers and onions. We’ve got a range of flavors here from the tender smoky meat to the vibrant and slightly sweet peppers and onions, and the creamy guacamole and fresh salsa. The meat isn’t the main flavor we’re pairing with, but something that can stand up to all of these flavors in unison. 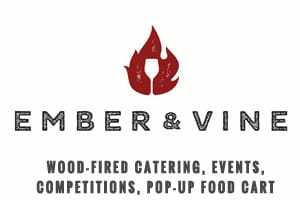 I’m sticking with red here, though a fuller-bodied fruity rosé would be pretty awesome also, especially if it’s a warm and sunny day (which we sadly are done with here in Portland for, oh, about nine months). I’m going with a medium to full-bodied fruity red, like Malbec for this. Though some other great options would be Grenache, Carmenere, Merlot, or even Zinfandel. If you opt for something like a Cabernet Sauvignon make sure it’s not a rich or heavily tannic style. Those tannins would clash with all of the flavors here. 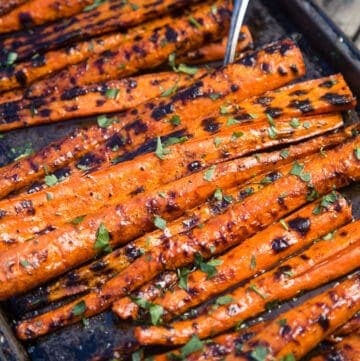 I recently tried these with an awesome Malbec/Cab blend from Argentina. Not only was it killer with these fajitas, it’s a wine I need more of in my life. 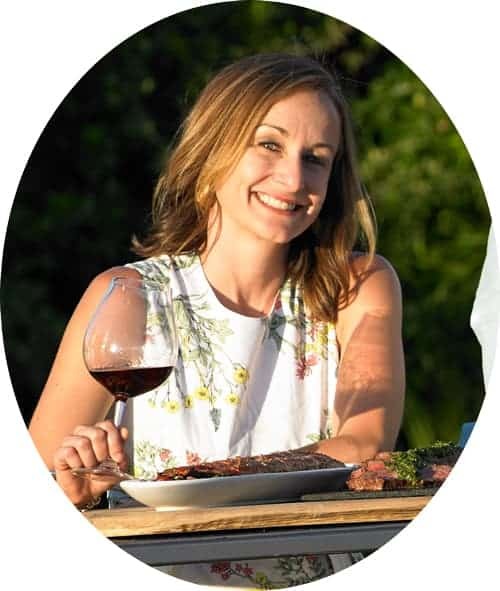 For more tasty recipes, BBQ tips and tricks, or wine pairing ideas, check out the Recipe Index. The description of that wine sounds incredible! As beautiful as the rainbow of peppers are I still like a nice handful of Queso with my fajita please! I like fajitas because they’re so full of delicious vegetables. Sometimes you go to a restaurant and the veg is depressing, but in fajitas, they’re a star! Exactly! And that’s why this is a meal my husband and I can agree 100% on. He gets his meat, and I get the balance of delicious veggies. And the kids are excited about both. Win-Win!!! Yes! Love this and pinning for later! It’s only 8am and I totally want fajitas now!! 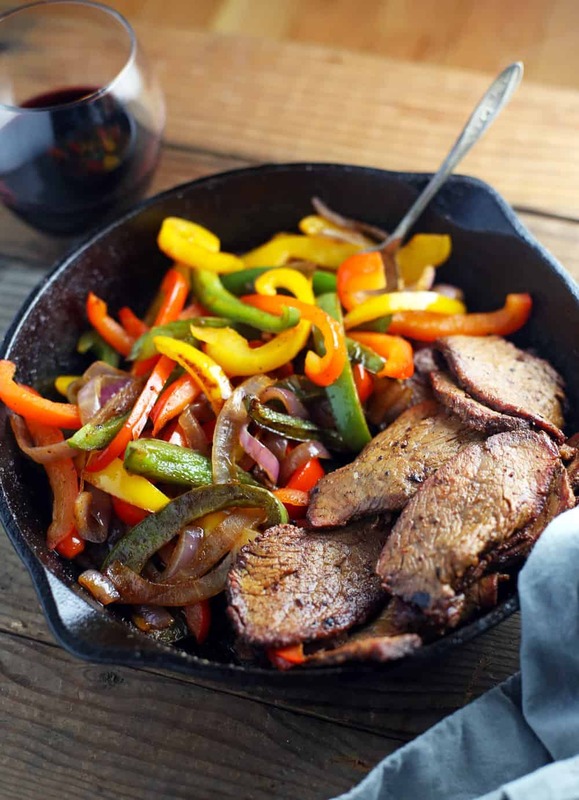 I LOVE fajitas, and I like your idea of using tri-tip both for the cost savings and the time savings. These look so good!